Chantel by Aspen! Soft feminine, wavy, layered, medium length, long, layered style with soft face framing bangs. Length: Bang 4", Crown 7 1/2", Nape 12", Sides 9" The modacrylic fiber hair has many colors blended to give a perfectly natural appearance and the texture looks just like human hair, but with the style permanently baked in for added convenience. Youthful, mid Length straight wig featuring a natural looking skin top! The length is approximately 17 inches. See item details for available colors. Mid length layered claw clip with the longest hair falling to 17 inches in length. Thin tight braids are mixed in with straight hair, which has a wave at the bottom. See item details for available colors. Fox tail comb attachment, with 2 wires with layered straight hair (fox tails) , which can be bent in any direction, for adding volume and length to your hairstyle. The hair length is 9 inches. See item details for available colors. This stunning medium length curly wig has soft, loose curls with bangs and a layered top and back. The length (curly) falls to below the shoulders, from the crown 17 inches in length. The bangs are approximately 6 inches in length. See item details for available colors. Premium quality, glamorous, medium length, long, wavy, lace front wig, which is 19 inches in length. 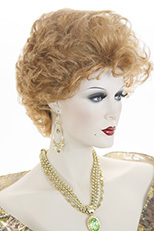 The lace front allows the hair to be worn off the face, to show a natural looking hairline at the forehead. The hair is made from the finest Futura heat resistant fiber. Futura by Kanekalon enables you to re-style and change your look effortlessly. Curl, flat iron, blow dry and re-style again and again. Futura’s breakthrough high heat resistance technology can safely handle temps up to 377°. See item details for available colors. Please allow 7 days for special order colors. 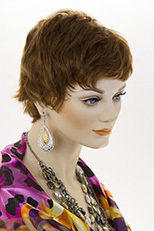 Youthful, mid length, full bodied, straight razor cut wig, with flipped up ends and soft bangs. Feminine and glamorous, this lovely style is perfect for any occasion! See item details for available colors. 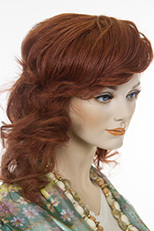 Glamorous, medium, long, straight, wavy, hair wig with an off center part. The hair is shaped around the face. Approximate hair length is 26 inches. Featuring a natural looking skin top, which is 4 X 5 inches in size. See item details for available colors. Long, glamorous straight 3/4 wig! Length to 23 inches. 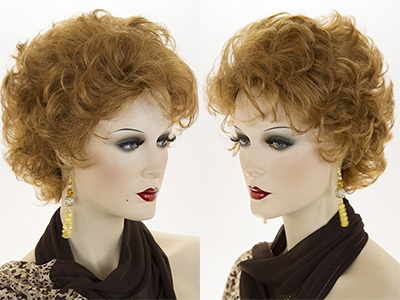 Two flexible accordion style combs at forehead and nape hold this lovely wig securely in place. 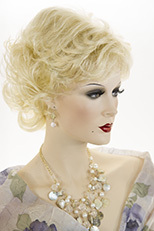 The hair is made from the finest modacrylic Kanekalon fiber, origina Japan. Wig Secret, features premium quality, natural looking wigs, which are adjustable to fit most head sizes. See item details for available colors. Youthful and chic! 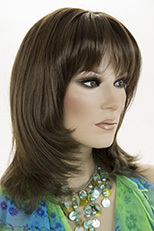 Mid length straight layered shag style wig with bangs. Additional colors may be ordered upon request. Please allow one week for special order.